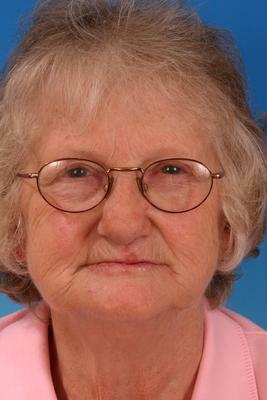 This happy and healthy woman was bothered by her old dentures. She felt they made her look older and she was unhappy with how the lower 1/3 of her face had become so short as the dentures had changed over the years. She complained about how her lower jaw and chin appeared to be getting closer to her nose. 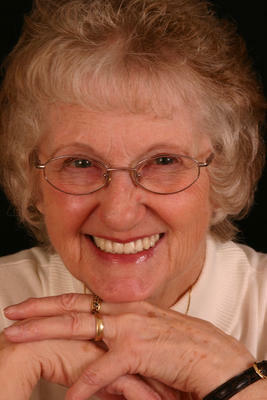 This is a common problem the patients face as their dentures become old. Changes gradually occur with the underlying gums and bone beneath the dentures that allow the old dentures to literally sink up under the lips until you can barely see the teeth when the patient smiles. Our goal is to return the natural look of her smile and facial features by making new cosmetic dentures the will increase the distance between her nose and chin. The challenge comes with changing the patient’s bite without causing jaw joint, and muscle pain. Without proper training and care making new dentures with taller teeth and changing the bite will often result in jaw and muscle pain that make wearing the new teeth uncomfortable. To make our patient her new cosmetic dentures, our team first needed to determine a proper jaw position that not only looked great but also would guarantee jaw and muscle comfort. Using our computer EMG ( electromyography ), we were able to accurately pinpoint the best jaw position that was comfortable for the patient and gave her back the youthful appearance she was looking for. Once the ideal jaw position was known, we were able to use our skills in cosmetic smile design to give her a beautiful smile that was comfortable and functional.